A: theinternet.show is the official website for Internet! 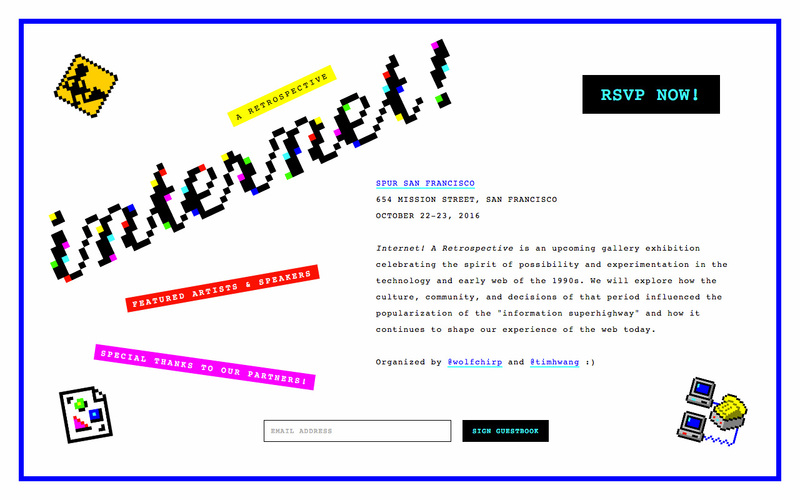 A Retrospective, an event and gallery show celebrating the early web and internet through art, artifacts, talks, and more. Naturally, a brutalist website was appropriate.